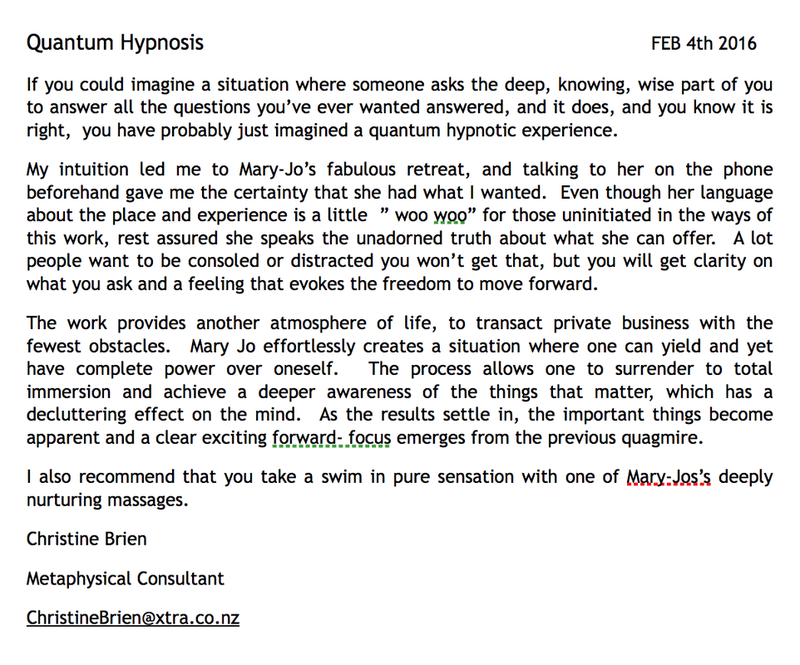 Welcome to Mary Jo's (Mj's) Quantum Healing Hypnosis Therapy testimonials and reviews page from previous clients of QHHT. The Dolores Cannon Method. 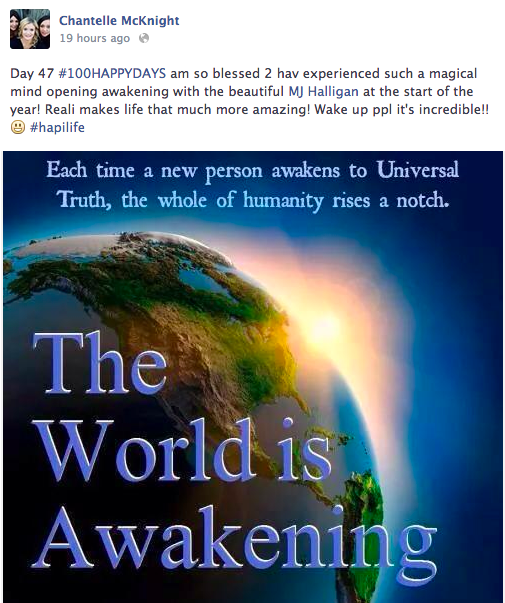 Please scroll down through these testimonials to read many different kinds of reviews from Mj's clients personal experience of QHHT, Mj's Facilitation of these sessions and staying at her beautiful Vibrant Living Retreat in Hanmer Springs, New Zealand. ​Below is a collections of testimonials received from previous QHHT clients via email, facebook review pages and videos chats / interview between Mary jo & her clients currently uploaded to youtube. A big thank you to the generous people that willingly shared there reviews and authentic experiences and insights of having a QHHT session. Testimonial received via email a few days after Angela had her 2nd QHHT session with Mary Jo July 2015. Over a year had passed between session 1 and session 2. Very rarely dose clients feel the need for more than one QHHT session and if they do it is 6 months - year later. Below is a interview review with Mum & Daughter after they both had there QHHT session with Mary Jo over there 2 night stay at her Vibrant Living Retreat in Hanmer Springs.